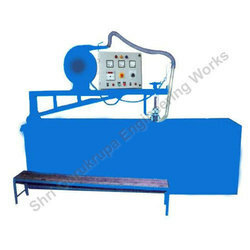 Prominent & Leading Manufacturer from Vadodara, we offer tarpaulin centre sealing machine, industrial tarpaulin sealing machine, woven plastic tarpaulin sealing machine, hdpe tarpaulin sealing machine, pp tarpaulin sealing machine and plastic tarpaulin sealing machine. 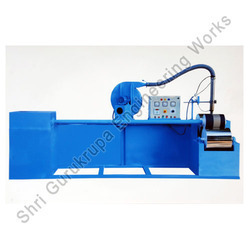 Our firm offers a high-quality range of Tarpaulin Sealing Machines to our esteemed clients. 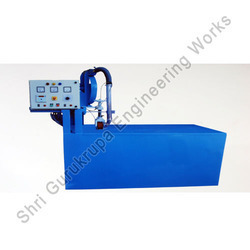 We are considered as a specialist in offering the most sought after range of Tarpaulin Sealing Machine. 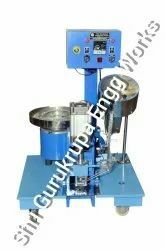 This superior make machine is designed and developed in line with the international quality standards set by the industry. The machine will be on robust structure fit for center seating of 65 to 500 gm fabric up to 12 feet max. Our Center Sealing Machine Seals of HDPE/PP Laminated Fabric, LD Sheet of above 500 gauge & PVC Coated, SRF Nylon Sheet, Flex Banner (Poster), Polyester Fabric Coated Material. The machine has one side open and the fabric enters from the top and seals fabric, which falls at the bottom where it can be folded easily. The center cantilever has heavy steel structure to mount electrical controls air blower and pressure system assemblies. This machine has 2 numbers of unwinder, opposite to each other, with brake attachment shaft. 4.5 kW (5.4 hp) Heater. In-house electronic and electrical assemblies. Each circuit will be provided with ELMCB for safety plus a heavy duty MCB for the mains. The machine will be provided with DC motor (Thruster-Controlled) coupled to heavy-duty reduction gearbox and pulley through the main shaft. 4 Sq mm 4 Core copper cable for main supply to the machines with the proper earthling. We are offering Woven Plastic Tarpaulin Sealing Machine to our clients. 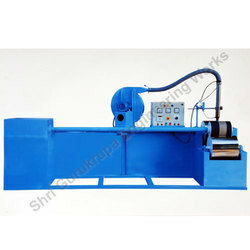 We are offering PP Tarpaulin Sealing Machine to our clients. We are offering Plastic Tarpaulin Sealing Machine to our clients. We are offering Poly Tarpaulin Mini Sealing Machine to our client. Leveraging on our latest infrastructure facilities, we are able to offer a wide gamut of Two in One Heating Sealing Machine. We take into account the international quality standards set by the industry and fabricate the best quality gamut of Tarpaulin Heating Sealing Machine. We are offering Tarpaulin Mini Sealing Machine to our clients. We are offering Tarpaulin Mini Side Sealing Machine to our clients. 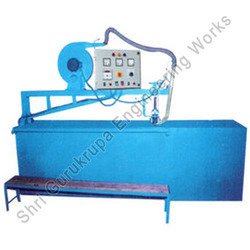 Our firm offers a high-quality range of Tarpaulin Plastic Sheet Sealing Machines to our esteemed clients. We take into account the latest trends and standards set by the industry and offer suitable range of products. The entire range is available in diverse specifications. Thus, we are able to gain the optimum satisfaction of our esteemed clients. The machine will be on robust structure fit for center seating of 65 to 500 GSM fabric up to 12 feet max, Our Center Sealing Machine Seals of HDPE/PP Laminated Fabric, LD Sheet of above 500 gauge & PVC Coated, SRF Nylon Sheet, Flex Banner(Poster), Polyester Fabric Coated Material. The machine has one side open and the fabric enters from the top and seals fabric, which falls at the bottom where it can be folded easily. The center cantilever has heavy steel structure to mount electrical controls air blower and pressure system assemblies. This machine has 2 Nos. of unwinder, opposite to each other, with brake attachment shaft. Edge-welding width 35 mm to 50 mm. In-house electronic and electrical assemblies for the machine plus a timer circuit to control the speed. The machine is provided with DC motor (Thruster-Controlled) coupled to heavy-duty reduction gearbox via chain and sprocket through the main shaft. 2. 4 Sq. mm 4 Core copper cable for main supply to the machines with the proper earthling. Sealing capacity 65 to 500 GSM fabric up to 100 feet max. The machine will be on robust structure fit for side sealing of 65 to 500 GSM fabric up to 100 feet max. Our Side Sealing Machine Seals of HDPE/PP Laminated Fabric, LD Sheet of above 500 gauge & PVC Coated, SRF Nylon Sheet, Flex Banner (Poster), Polyester Fabric Coated Material. The structure length is 2 meters long and has the pressure system, electrical control panel, air blower and rope reinforcement attachment Edge-welding width 25 mm to 50 mm. Automatic rope insertion and edge sealing. 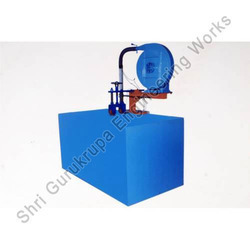 The machine is provided with DC motor (Thruster-Controlled) coupled to heavy-duty. reduction gearbox via chain and sprocket through the main shaft. Center sealing machine 11 feet long for 4, 6, 8, 10 & 12 feet fabrics. Side sealing machine 6 feet long for 2-meter fabrics. 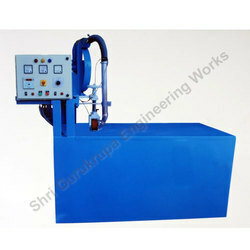 We are offering Poly Tarpaulin Sealing Machine at competitive prices to our clients. By leveraging upon our huge industry experience, we provide the best quality array of Manual Aluminum Eyelet Punching Machine. This eyelet punching machine is one of our best selling products, which is widely used for many materials, flex banner, advertising board, belt, tent canvas, especially for PE PVC tarpaulins. 1. 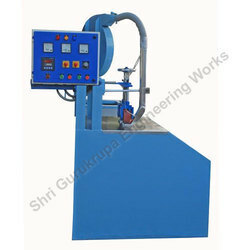 Eyelet machine is automatically eyelet feeding and punching machine. 2. 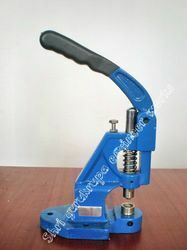 The grommet machine punches grommets on tarpaulin, tent, canvas, handbags, belt, leather and clothing, stationery, etc. 3. It is very convenient at the automatic punching and eyeleting. 4. We can produce machine according to customer eyelet size.